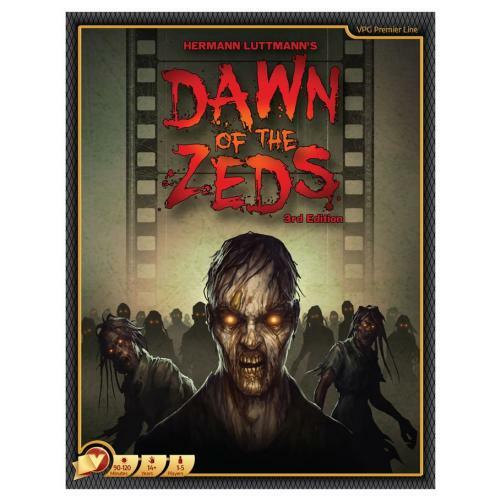 Fill in your details below and we will let you know within 24 hours if we can get Dawn of the Zeds (3rd Edition) to you with haste! Things are far from fabulous in Farmingdale. Some kind of virus or poison is turning ordinary people into vicious, zombie-like killers. You must lead the citizens and emerging heroes to halt the Zeds' advances by (re)killing them, attempt to coordinate the discovery of a cure, and preserve as much of the area and as many of its inhabitants as possible. There's no time to lose….